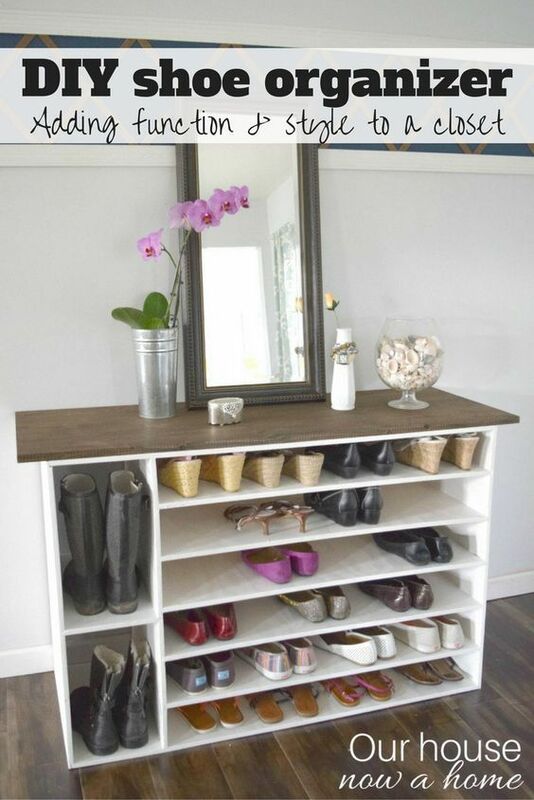 How to make a DIY shoe organizer and rack for the closet. This is also pretty enough to be a great addition to a room as a furniture piece, with tons of storage! Full tutorial and a ton of details to make this yourself. This is made with plywood, such a low cost option! Life Hacks Ideas: 13 AWESOME LIFE HACKS!